The government’s intention to transfer 304 hectares of land where the Natural Resources Development College in Lusaka sits to Avic International Project Engineering Company stinks of corruption and must be stopped. Avic International is a company this government has been awarding all sorts of construction contracts. It is also a company which leading elements in this government have been using to build their own private properties. It’s therefore clear that this government’s dealings with Avic International cannot be said to be at arms length or independent and clean. The reasons given by this government for its intention to transfer the National Resources Development College land to Avic International do not make sense. Michael Katambo, the Minister of Agriculture, told Parliament that “the college sits on a land size of 304 hectares and is surrounded by residential areas, mainly Mtendere, Presidential Housing Initiative (PHI) and Avondale, with no room for expansion whatsoever. Let me inform the House and the nation at large that in 2007, chief Shakumbila of Mumbwa district came to the aid of government and offered 1, 662.23 hectares to NRDC. 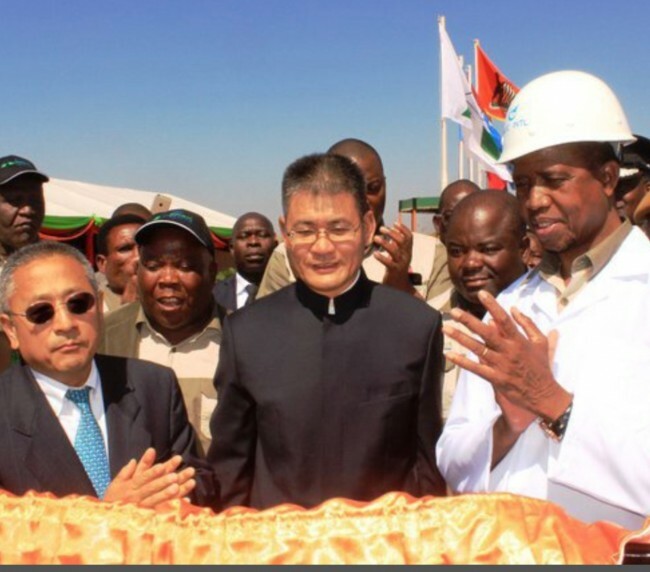 The offer of this land was confirmed by His Excellency the President, Mr Edgar Chagwa Lungu, when he visited Mumbwa and met with chief Shakumbila in 2016…In 2017, the government received an unsolicited bid from Avic International to develop a brand new National Resources Development College at the land in Mumbwa. Given its foresight, the Patriotic Front government accepted the offer from Avic and signed a Memorandum of Understanding, which is an expression of interest. In the Memorandum of Understanding, Avic International Project Engineering Company proposes to construct a financial centre at the current Natural Resources Development College – Lusaka campus. Once developed, the financial centre will bring a new look to the city of Lusaka and will create employment opportunities for Zambians. Government is waiting for a detailed proposal from Avic International on the planned development of the National Resources Development College campus in Shibuyunji. The benefit of the new campus is that it will offer a conducive learning environment for students who will be able to learn and undertake practical applications in agriculture. Furthermore, once developed, the new NRDC will be self-sustaining as it will engage in income generating activities given the abundant land of 1,662.23 hectares. The current NRDC clearly does not offer a conducive environment for both students and lecturers [and] therefore, the move by government to build a new NRDC campus should be supported by all well-meaning Zambians”. There’s no good reason why the National Resources Development College cannot retain the Lusaka campus and open another one in Shibuyunji. Most colleges and universities in the world are built that way – they don’t sit in one place. The truth is our politicians have been corruptly transferring prime land belonging to public institutions to private individuals and companies. They have done that to the University of Zambia land. And the sad thing with the University of Zambia land is that most of it was bought with donations from individuals. University of Zambia land has been looted. And what we are today witnessing with National Resources Development College land is a continuation of that looting. And the state land on Twin Palm road near the Zambia Air Force, which was aquifer for Lusaka, is another example. There’s no prime public land these people are not going to steal. And National Resources Development College is prime land. But who says public institutions, including colleges and universities, cannot sit on prime land? Who says all prime land should be in private hands? Go to South Africa and see what type of prime land are occupied by universities and other public institutions! If the current National Resources Development College land is not adequate for expansion, the solution is not to give it away but add other campuses in other localities to it. And since Katambo says the land has not yet been sold to Avic International Projects Engineering Company, the deal must be stopped, cancelled.